Dodge Grand Caravan is one of the oldest nameplates in the minivan game, yet it's still leading a family-centric life of hauling kids to soccer and school, families to the mall, and the occasional big load of cargo home from the home-improvement center. A powerful V6 engine, lots of thoughtful features and a compelling price round out this package. Great Minivan, horrible ac unit! I never thought I'd be a minivan kinda mom but I have to admit my dodge is one of the best vehicles I've ever owned. It drives amazingly! Has plenty of room for my kids and their friends. Is ideal for road trips! (We take this beast all over Florida 3 times, Minnesota, South Dakota, Missouri, Wisconsin, Georgia, Nashville, Michigan and more!) It's amazing when it comes to gas and mileage. Coast on average about 40 to 50 bucks to fill tank from empty and I fill one to two times a month. I have owned this vehicle since 2014 and just hit 40,000 miles. The only negative thing I can say is every spring since I purchased new the ac goes out. At first it wasn't a big deal but now that I am out of warranty it cost me $800 this past spring. I've been told by multi mechanics that this is a common problem with this vehicle. 2015 Dodge grand caravan, red. Love our van for space and seating. The stow n go seating is wonderful. They really help when you have big loads and need the extra space. Extremely good gas mileage when traveling, even better when we use the econ button. I do not recommend using econ for city driving as it will not take off very fast with that button on. Only issues we have had is we have a rattle that can only be heard when traveling at slower speeds. We took it in 3 times to dealership and they weren't able to locate it. We just decided to turn the radio up louder. Also, when you unlock the doors with automatic lock, the back passenger door has a buzzing to it. We did not purchase the automatic doors (husband's preference) but still wish back windows on sliding doors would roll down. That option is only available if you have auto doors. Dodge Grand Caravan is convenient and an incredibly useful vehicle. Everyone in my family loves it! Even when driving alone, I love the versatility & options it provides. It has all of the space and convenience of other minivans, but without the big price tag that comes with other car brands. It is at least half the price of other minivans on the market today. While it is a satisfactory vehicle in most aspects, the transmission is a great deal more likely to have issues. Shifting between gears is not always smooth, and the RPM's frequently go higher than normal when accelerating. The Dodge Grand Caravan has been an amazing vehicle for myself and my children, especially on long trips and in the school pick up line. I love the power doors that make it very easy to get everyone in and out. I also love the drop in floor seats, the abundance of room and the power windows, especially in the very back. But I wish there was more leg room for the passengers in the 3rd row, and that it were more easily accessible from the middle. I also wish the car had memory settings for the driver seat, storage for more than one pair of sunglasses, a flat spot for a cell phone mounting, had heated seats standard, the passenger seat was power and that the dual climate control was more consistent. But overall, it's a great van for a family. Chrysler (FCA US LLC) is recalling certain model year 2015-2016 Chrysler Town & Country, Dodge Grand Caravan vehicles manufactured July 31, 2015, to April 18, 2016, 2016 Dodge Journey vehicles manufactured August 17, 2015, to January 29, 2016, and 2016 RAM ProMaster vehicles manufactured August 15, 2016, to April 15, 2016. The transmission pump may seize causing a loss of hydraulic pressure. If the transmission loses hydraulic pressure, the vehicle may lose motive power, increasing the risk of a crash. Chrysler will notify owners, and dealers will replace the transmission pump, free of charge. The recall began on August 18, 2016. Owners may contact Chrysler customer service at 1-800-853-1403. Chrysler's number for this recall is S44. 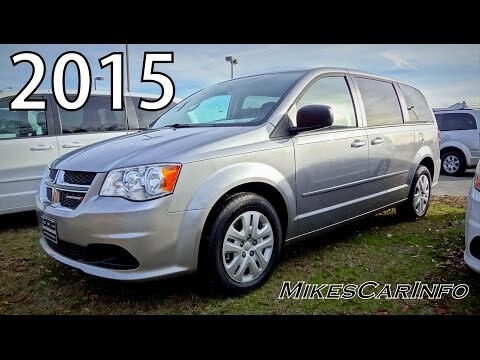 FCA US LLC (Chrysler) is recalling certain model year 2015-2016 Chrysler Town and Country, and 2014-2015 Dodge Grand Caravan vehicles manufactured August 16, 2014, to December 5, 2015. The windshield on the affected vehicles may have been installed using expired urethane primer, allowing the windshield to become displaced in the event of a crash. As such, these vehicles fail to comply with the requirements of Federal Motor Vehicle Safety Standard (FMVSS) number 212, "Windshield Mounting." If the windshield dislodges during a crash, there is an increased risk of occupant injury. Chrysler will notify owners, and dealers will replace the windshield, free of charge. The recall began March 4, 2016. Owners may contact Chrysler customer service at 1-800-853-1403. Chrysler's number for this recall is S02.